An unconventional agency for the unconventional client, Magical Journeys is dedicated to finding the best pricing for your next Magical Journey. We work hard to save you money, and still give you the quality service you deserve. Unlike conventional agencies, we work in the clients best interest, not the suppliers. 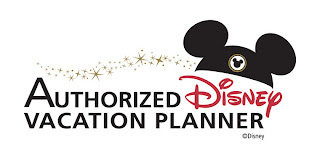 As a well established agency, and now an Authorized Disney Vacation Planner, we have many years in not only the travel industry, but in the infamous Disney Reservation system. Let us help you plan your Magical Journeys. Magical Journeys does not currently charge any consultation fees for land, cruise or regular packages. We would like it very much if you referred us to your friends and family in order to keep us going. Travel agents get paid from the supplier so unless you book and travel, we don't get paid. Someone to monitor your vacation package from day one for discounts and promotions to make sure that you have the best deal available. When a new deal is released, she'll check to see if it is better than your current deal. If it is, she'll automatically apply those discounts. So you will always have the best deal available. Someone able to answer any questions you have about the Disney parks, resorts, dining and entertainment. Assistance in planning your Advanced Dining Reservations, tailored to your family's needs and want, so you can find the right restaurants for you and your family. You can schedule a payment plan for Walt Disney World vacation until your vacation is paid in full. You'll receive Walt Disney World Theme Park Guide Maps from the theme parks with your package travel documents, as well as other materials to help with your planning. For guests traveling with children 17 and under, each child will receive a little something special. Kristen Hoetzel is a graduate of the Disney College of Knowledge. After many years in restaurants and retail management, she decided to use her multi-tasking and organizational skills to plan Disney and cruise vacations. It gives her the fexability to have a home based business and still travel. She's visited Walt Disney World (more than 20 times), Disneyland, traveled on mulitple cruises and to several courtries over the years. Her love of travel, Disney and cruise trips can help you plan and save money when creating a magical vacation. So why do all the work yourself when I can do it for you? Save yourself time, money and stress! From the time you book until the day you travel I'll continue to look for the best deal for your magical vacation! So contact me today! For current travel deals, please visit Magical Journeys Vacations!